Southwest meets Southern Charm in Whispering Pines Condo WP 641 and you are in for a great Smoky Mountain experience! Rich hardwood flooring, leather furniture, flat screen TV’s and 3 extra-large king bedrooms, with 3 full bathrooms; make this condo unit very special! There is space to sleep 8 comfortably, so bring your friends and family! Just like the wide-open spaces of the West, there is room to spread out in the dining room and living room area, and right on out to the over sized, private balcony. Just imagine starting and ending each day relaxing in front of the Great Smoky Mountains! We also provide a washer and dryer, complimentary Wi-Fi, and a Jacuzzi tub in the master bedroom! This family getaway is just waiting for you! Condo living doesn’t get any better than this! Thank you so much for staying with at Whispering Pines Resort. We are so happy to hear that you you enjoyed your stay with us. We hope that you have found your new home away from home with us. We hope to see you again soon! We appreciate your comments; well stated. When you find a great place and love the condos, you always look forward to returning. We look forward to your returning, also. The condo was clean and had ample room for our party of seven. The condo was in a good location. The free ticket for dinners and shows was very nice. Thank you so much for staying with us at Whispering Pines! We are so pleased to hear you found the condo roomy and convenient. Also, we hope you got to take full advantage of the free ticket program to make the most out of your vacation. We welcome you back to visit with us again soon! This complex is awesome. Perfect for a family - lazy river and an outdoor and indoor pool. Located just off the main road in Pigeon Forge. Our unit was very nice and well maintained. Especially fun as Dollywood had fireworks every night and we went to the outside patio overlooking Pigeon Forge to watch them. There is also an area to cookout. Staff was very courteous and eager to serve. Thank you so much for choosing Whispering Pines for your lodging needs while visiting Pigeon Forge! We greatly appreciate your kind words about our staff and property! We definitely try our best to give the best experience to our guests, through our customer service and the high standard we hold our condos to. The treat of the nightly Dollywood fireworks and all the amenities we have to offer; we hope it made for the perfect vacation. We are so happy to hear how much the entire family enjoyed staying with us! We look forward to your next visit with us! The condo was meticulous and beautifully decorated. We will definitely recommend this to others! Thank you so much for staying with us at Whispering Pines! We truly appreciate your compliments and recommendation of our property, but most importantly we appreciate YOU! We cannot wait for your next visit, we hope it's soon because we are looking forward to it! Our stay there was awesome ! It’s such a beautiful place, and the staff is so friendly. Definitely will be staying here again, when vacationing in Tennessee. Thank you so much for staying with us at Whispering Pines! It is music to our ears to hear how awesome your stay was. We greatly appreciate your compliments about our property and staff. We love what we do and want that to show through our actions and service to our guests. We can't wait for your next visit, and welcome you back very soon! The condo was perfect for our family of four and grandparents. The beds and sofas were comfortable. The condo was perfectly clean. The balcony view was beautiful! The office staff was very helpful and kind. The location was great - close to restaurants and activities. Great! Thank you so much for staying with us and we are very happy you all enjoyed your stay! Thank you for the kind words and we hope you all can come back see us again soon! Very nice and clean.Only wish an elevator was closer to our end where condo is located,had a person with us that had knee problems and was hard for them to walk from elevator to room.This is our only concern with our,everything else was great.We were able to take in the Comedy Barn and use our free ticket from stay.Thanks for everything and I would highly recommend this resort to anyone looking for a home away from home!!!! Thank you so much for staying with us! We are happy you all had fun and took advantage of the free tickets! Please let us know next time you are booking that you would like to be close to the elevator and we will do the best we can. The way the buildings are designed, all our 3BR / 3A units are on the corners but we do have 4 BR units right next to the elevator! We hope you all can come back and stay with us again soon! Great! Come back and see us again soon! Beautiful, spacious rooms! Very close to the parkway but feels like deep in the mountains. Will stay again! We appreciate you staying with us! So glad ya'll had a nice trip and we look forward to having you vacation with us again in the future. We look forward to having you vacation with us again! Thank you! Excellent! Thank you so much for staying with us! Come back and see us again soon! Really good no complaints. Very comfortable very relaxing. Thank you staying with us at Whispering Pines. We appreciate your review and hope to see you again when visiting the Pigeon Forge area. As the following rating shows-we were very satisfied as usual. We like your perfect review and comment. Your "as usual" should clue everyone that you have stayed with us several times before. We look forward to your return. Our 4th stay at Whispering Pines. We keep coming back. Great! We love that you keep coming back and we will always be here to welcome you! Wonderful. Fantastic place to stay. We are so glad that you had a wonderful getaway with us at Whispering Pines Resort. We appreciate your feedback and welcome you back to stay with us again soon. The condo was very nice, clean and in a location convenient to everything in Pigeon Forge and Gatlinburg. It was about a block off the parkway, so it was quiet with a nice view of the mountains. All of the employees were very friendly. Would definitely stay at this location again. Thank you for staying with us at Whispering Pines and for your wonderful review. We appreciate your kind comments regarding our resort and our staff. We welcome you back to visit us again soon! We love and appreciate your perfect review and comments and look forward to your returns visits. we had a Girls weekend getaway and the condo was the absolute perfect accommodations! Could not have asked for anything better. Very clean, decorated perfectly, and we loved it! Great! Thank you for all the kind words and we appreciate you! Come back again anytime! We loved our stay at Whispering Pines. Our condo was very clean and was nicely decorated with updated décor. Beautiful view from back porch, especially in Oct. Close to everything. Would definitely want this condo again. Was impressed how well maintained the grounds were. Staff were very helpful. Wonderful place to stay! Wonderful! Thank you so much for your wonderful review and for staying with us. We are happy that you enjoyed 641 and the amazing view it has to offer. We appreciate you and your kind words, we hope to see you again soon! Loved this Condo, 2nd time we have used this Unit! Its a very nice condo and roomy. It has beautiful scenery off the back patio. Its been very clean each time and roomy. We love it. Thank you for your patronage. We appreciate your excellent review and comments. Glad you enjoyed the condo including the view from the balcony. See you next time. My family stayed at Whispering Pines for 7 nights. It was a very nice place to stay. It was very clean and updated. Very well located and the staff was great. The pools were nice and it was just a really great place to stay. Thank you so much for your wonderful review of your recent stay in condo 641. We appreciate your kind comments regarding the cleanliness of our condos, our location & our staff. Please come back and stay with us again soon! Our family just absolutely loved our stay at Whispering Pines!!! The condo was so beautiful and we lived the Christian decor!! We will definitely stay again!! Great staff, great location. Kids (and adults) loved the pool!! Thrilled to hear you enjoyed your stay! We hope you come back again soon. Very nice facilities,room was perfect! The most pleasant customer service we ever received.The whole experience was perfect!! Thank you for your kind comments! We love having our guests leave happy and ready to come back. Hope to see you again soon! The best place ever. We love it here. Location is great. Ppl are so nice. Best in Pigeon Forge!! THANK YOU! We love to be a place people can come to and relax, we are so thankful for all of our guests. Hope to see you again soon! We loved our stay at Whispering Pines. Our condo was clean and decorated beautifully! We loved the pool and it was a quiet and relaxing complex, but we were right near everything. Happy to hear you enjoyed it! We hope to have you return soon. We loved 641, we'll be staying in this one again next year as well! Thank you so much! We love it when our guests have a great time! We will look forward to seeing you again! We took our daughter and her NEW fiancé on a special engagement trip. Our Unit was a 3 bedroom and very very spacious. Very clean and very homey! We found a new place to stay whenever we go back! Thank you for staying with us at Whispering Pines on such a special occasion. We are so happy to know that you all had a great stay. We would love to have you as part of our family. We look forward to seeing you again. My Vietnam veteran buddies and I were very pleased with our accomodations for our short reunion. The facilities were so very clean and centrally located. The staff was friendly and very helpful. We had a great time. Thank you for your service and we are very happy you enjoyed your time with us....please come back any time! Condo is very clean and nicely decorated. Location is great. Thank you for your comments about your stay and the condo. We are glad you enjoyed your time here at Whispering Pines and look forward to having you back with us in the future! The resort was in a great location. Staff was very imformative and kind. The overall stay was great. We appreciate your great review of unit 641 at Whispering Pines Condos in Pigeon Forge, TN. Glad you had a great time and will make plans to visit us again. 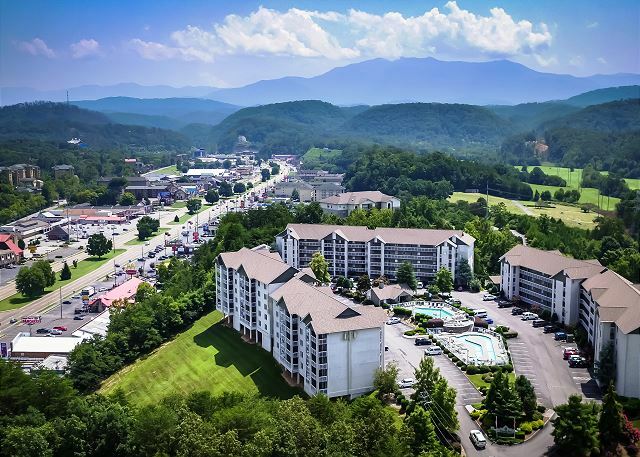 All three of our properties, Whispering Pines Condos, Bear Crossing Condos, and Cedar Lodge Condos are conveniently located for all that Pigeon Forge has to offer. See you next time. we had another great stay at whispering pines. our condo was ready for us to check in early. it was beautifully decorated and very clean. our only complaint was it would have been nice to have more bath towels. the office staff was great. We appreciate your excellent review and look forward to your other great visits with us. Very nice!! Roomie for the entire family to stay comfortably. Would highly recommend to my friends and other family members. Thank you for your excellent review of unit 641 at Whispering Pines Condos in Pigeon Forge, TN. We appreciate your recommendations to your friends and family. Looking forward to your return visits. See you next time; thank you for your excellent ratings for unit 641 at Whispering Pines Condos in Pigeon Forge, TN. We could not be happier to hear that you had a great experience while staying with us. Thank you for your wonderful review and we hope that you can visit us again soon. The condo was very nice. It was a little loud on the patio because of traffic. We were not able to get the tv in the living room to work so we did not use it. There was an issue in the first bedroom on the right as you come in, the wall socket on top has a shortage. We really enjoyed our stay. Everything was clean and well organized. Thank you for staying with us, we appreciate every guest! I will have maintenance check the TV and outlet and see what the issue is. We are glad that you enjoyed your time in Pigeon Forge and the Smokies and wish you a happy year and hope to see you next Vacation! We loved the condo unit, but with a 3 bed 3 bath unit we thought you should be able to get 3 parking permits to park outside the unit and not somewhere you can't see your car. Thank you for staying with us at Whispering Pines. We are so pleased to know that you enjoyed the condo. We do have to limit the amount of parking spaces per unit so every guest has parking. We do have an overflow parking area if you have more vehicles than allotted. During our busy times we do have to be more strict on parking than our sleeper times. Thank you for your review and we hope to see you again when visiting the Pigeon Forge area. We had a fabulous time once again at Whispering Pines. We were traveling with several families. This condo, unit #641, is one of my favorites. It is decorated beautiful. The condo is very clean. Everything was awesome! I would without hesitation recommend this condo! We used all the pools as well as the game room. Our kiddos loved it! Pools open early and stay open late. It gave us time to enjoy activities off site and then let the kids swim! We will definitely stay here again. Staff was always! Thank you for your wonderful review! We are pleased to hear you enjoyed everything Whispering Pines has to offer! We appreciate your patronage and look forward to your next visit. Restful and lots of fun and good food. Thank you so much for staying with us at Whispering Pines. We are happy to hear that you were able to rest and have a lot of fun during your stay. We hope to see you again soon. We love it there. This was our 3rd year and we just won't stay anywhere else!!! Condos are beautiful. Staff. Wonderful. Location. Just what we need! We will be back next year for sure!! Thank you!! We can't wait to have you back with us next year! So glad you had another great trip to the area. this was our 2nd time at WP and just like the 1st this place is GREAT!! The rooms are very comfortable,the location perfect and the pools relaxing. I hope to come again in the near future. Thank you for your wonderful review of your resent stay at Whispering Pines. We appreciate you being a repeat guest. We look forward to seeing you again soon. I have stayed at Whispering Pines Condos several times. I am always well satisfied with the cleanliness, amenities and the location. WP is one of my favorite places to stay in Pigeon Forge. Anyone traveling to Pigeon Forge should try eating at Cheddars and the Pottery Grill at the Old Mill. Great food and reasonable prices. I am looking forward to visiting again. We appreciate your guest loyalty and hope to keep seeing you each trip! Have a happy and safe summer- thank you so much! ENJOYED VERY MUCH. WE WILL BE STAYING HERE AGAIN. THE HUBBARDS RECOMMENDED STAYING HERE SAYING THAT IT WAS THE BEST, AND THEY WERE RIGHT. We are delighted to know that you enjoyed your recent stay incondo 641. Thank you for staying with us and we look forward to your next visit with us. WE REALLY ENJOYED OUR STAY AT WHISPERING PINES IN APRIL 2015. OUR CONDO WAS VERY SPACIOUS AND HAD EVERYTHING WE NEEDED. WE DID NOT HAVE TO WORRY ABOUT ANYTHING BUT HAVING FUN. Now you know where to come for a worry-free vacation-Whispering Pines Condos unit 641 in Pigeon Forge, Tennessee. The room we stayed in exceeded our expectations it was decorated nicely and had all the amenities that you will need. The staff was extremely friendly and helpful. We have stayed at Whispering Pines before and will definitely stay there again. We appreciate you! Thank you for your feedback and we look forward to your next visit. Whispering Pines is the place to stay in Pigeon Forge for our family. The location is convenient to everything and the rooms are always very clean. Check in/check out is always easy and quick. We appreciate this very much. When we go to Pigeon Forge we know where we are going to stay.....Whispering Pines!!! Thank you for your feedback! We are happy your entire experience at Whispering Pines! We appreciate your patronage and look forward to your next visit. This was our second trip to Whispering Pines staying in 2 different condo's. Both times we had an excellent time with great service. We are so happy to hear that you have enjoyed each stay you have had at Whispering Pines. We hope that this will become your home away from home. Thank you for your review and we hope this is a beginning of many stays with us. Thank you for staying with us at Whispering Pines Resort. We are delighted to hear that you had a relaxing stay and enjoyed the beautiful view that 641 had to offer. We hope to see you again soon. Whispering Pines is a very nice place. Staff was very friendly and helpful. The condo we stayed in was very nice and very clean. The kids loved the indoor pool, and everyone in our party had a great time. Our next visit to Pigeon Forge will be booked at Whispering Pines. We are happy to hear your family enjoyed their stay at Whispering Pines! We look forward to your future stays with us. Thank you for continuing to stay with us when you visit the area. We appreciate our repeat guests so much. We hope to see you all again soon! Stayed here several years now. Enjoy the pool and the location being close to the strip. Needs more bedside lights for reading at nighttime. Blinds in living room has slat falling off. We appreciate you staying with us here at Whispering Pines. Happy to hear you enjoyed your condo and trip. We will pass the light suggestion on to the condo owner so they can look into that. Thanks for letting us know about it. Again, thanks for staying and we hope you return soon! The condo was clean, nicely decorated, convenient to area attractions, amenities perfect. Staff was very helpful and friendly. We love to hear that our guests had a nice time visiting with us here in Pigeon Forge. We appreciate our guests so much. Thank you for staying with us and we hope to see you again in the future! A great place for our ladies trip! We would love to have you again! Glad you had an enjoyable stay! Great place!! Quite and clean with all the comforts we look for while on vacation. Staff at check in was very efficient, they had everything lined ready for our arrival. Thank you Don! We are so glad you enjoyed your vacation in condo 641! We appreciate you taking the time to let us know about your stay and we hope to see you in Pigeon Forge again soon! We four sisters and our Mother had a wonderful stay at WP. Reservations were easy to make, staff very accommodating, and the condo was sooo clean!That's a priority for all of us. We loved our time here, and we will definitely return. We are so happy to hear that you all had a wonderful stay at Whispering Pines. Thank you for your wonderful comments regarding the staff, ease of making reservations and the cleanliness of the condos. Cleanliness and Customer Service is at the top of our priorities at Whispering Pines. We cant wait to see you again. This was our 5th visit to Whispering Pines and as usual we have no complaints. The condo was spacious, well decorated, clean and very comfortable. We had 5 adults and 3 childre in our group and we never felt crowded or in each other's way. Our experience with the staff has been excellent, everyone is friendly and eager to help. The proximity to attractions and beautiful mountain drives are a major factor in our decision to stay on this property. We really enjoyed visiting The Island for the first time on this trip! It is beautiful all lit up at night. Lots to do and very relaxing. We will be back again next year and look forward to another great stay! Thank you very much for the wonderful review of your recent stay at Whispering Pines and for being a loyal repeat guest. We are so happy to hear that your overall experience with the condo, staff and Pigeon Forge area were great during your stay. We cannot thank you enough for staying with us. We look forward to your next visit with us. We love the condo so beautifully decorate. It was like home a reminder of our Lord in every room. Thank you for a great vacation. Thank you for staying with us! Thrilled to hear you had a memorable stay and enjoyed your condo! Please come visit again. Thank you for staying with us! We are so happy to hear you had an enjoyable stay. We certainly hope you are able to visit again soon! Fantastic , very satisfied , look forward to coming back. Thanks for making us feel at home! Thank you so much for staying with us at Whispering Pines Resort. We are so happy to hear that you felt at home while staying here. We look forward to your next stay. our experience was wonderful could not have been better! Excellent! Come back and see us! I want to apologize about those calls. I will make sure that unit number is on that no call list. Thanks for staying with us!